US President Donald Trump and his Chinese counterpart Xi Jinping, meeting privately after the G20 Summit in Argentina, have agreed to halt new trade tariffs for 90 days to allow for talks. Currently the US has imposed on China tariffs of 10% with a proposed increase to 25% on 1st January on $200 bn worth of goods. This agreement to halt such actions and to conduct further talks in the New Year will no doubt dampen the fears of the financial and economic community. US sources stated that China will buy a “very substantial” amount of agricultural, industrial and energy products while Beijing commented that the two sides agreed to open up their markets. It’s worth noting that up until now, The US has hit $250bn of Chinese goods with tariffs since July, and China has retaliated by imposing duties on $110bn of US products. This agreement for further talks are truly just that – an agreement to discuss these matters further. 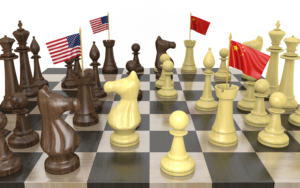 Whilst both the US and China have expressed intents and plans, nothing is set in stone, but this does give these two countries and the rest of the world a slight reprieve in what could prove quite a disastrous effect on world trade if such an agreement is not met. We have little doubt that stock markets will respond positively to this tomorrow, but we must be cautious and not too carried away until some real ink actually touches some real paper.